When you display a digital photo, the monitor devotes one screen pixel to every image pixel. 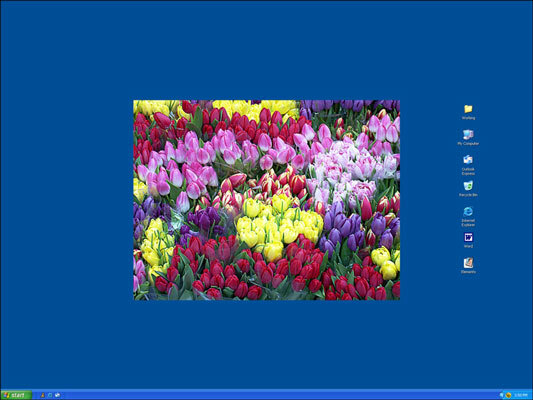 For example, this image shows a monitor with the screen resolution set to 1600 x 1200. The flower photo has a resolution of 800 x 600 pixels — and therefore consumes 800 of the available 1600 horizontal screen pixels and 600 of the 1200 vertical pixels. Pixel count has no effect on the quality of onscreen pictures; it only determines display size. Even the most inexpensive digital camera captures enough pixels to cover a large expanse of on-screen real estate.